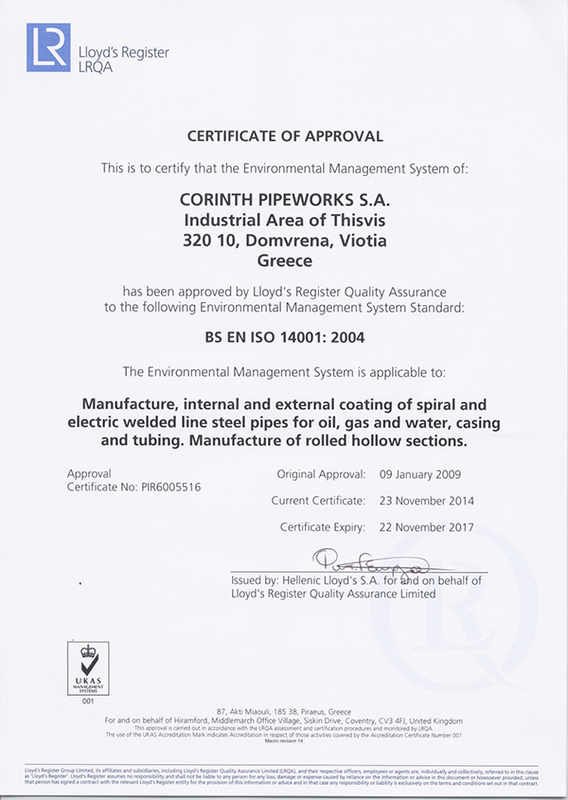 Corinth Pipeworks has established, implemented and constantly improves a certified environmental management system in accordance with ISO 14001:2004 international standard. This system provides us with a framework for managing compliance and achieving continuous improvement. Corinth Pipeworks is aligned with all the effective regulations and standards. The environmental policy as well as the basic principles, supporting its implementation, reflects the Company's concern to protecting the environment. Implementation of this policy is a primary target of the management and a responsibility of every Corinth Pipeworks' employee. Company employees have an important role in Corinth Pipeworks’s effort to protect the environment. Over the 50% of Company’s employees participate in environmental training programs, every year. 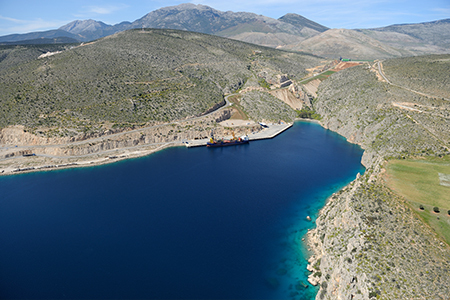 Corinth Pipeworks aims to minimize its environmental impact wherever practicable and a substantial proportion of our capital investment in recent years has been on initiatives to improve our energy efficiency and reduce our emissions or achieve other environmental benefits. We monitor all our environmental impacts, together with energy usage and waste treatment and report annually on all of these.